A new dramatization of one of the greatest baseball stories of all time. A poignant, touching, and often comic tale of a baseball team’s friendship and loyalty to a dying teammate. Adapted from the novel by Mark Harris. 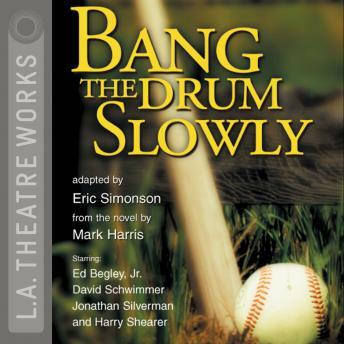 An L.A. Theatre Works full-cast performance featuring Ed Begley Jr., John Freeland Jr., Henry Harris, Brent Hinkley, Bruce Nelson, Joshua Rifkind, David Robbins, Marcia Rodd, Elizabeth Ruscio, Enrique Sandino, David Schwimmer, Harry Shearer and Jonathan Silverman.